The transmitter emits an ultrasonic wave and determines the propagation time of the signal reflected at a surface. On the basis of this time, the device calculates the distance between the lower edge of the sensor and the surface. The influence of the sound velocity dependent on the surrounding atmosphere is automatically compensated for by entering specific values and measurement of the ambient temperature by the transmitter. 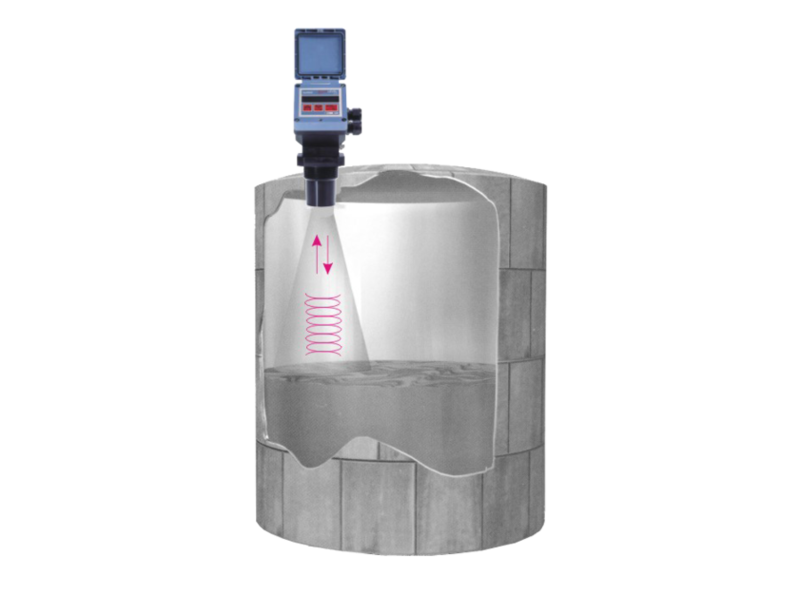 If the distance between the lower edge of the sensor and the bottom of a tank is known, the device is able to indicate the filling level or, if the tank geometry is known, the volume still inside the tank can be indicated. Various disturbance echo filters even enable use in containers with built-in fixtures generating a disturbance echo.